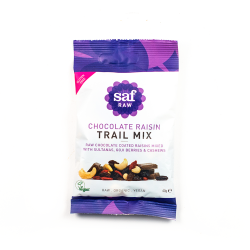 Saf Life was born in 2006, out of a passion to help individuals achieve optimum health and well-being through holistic nutrition. All their snacks are made by hand and dehydrated in their state-of-the-art production facility, following SALSA and Soil Association procedures. By making their snacks at 46°C, they preserve flavours and their energy-giving enzymes so that vital vitamins stay intact. This protects and supports the building blocks of growing, healing and maintenance of our bodies. 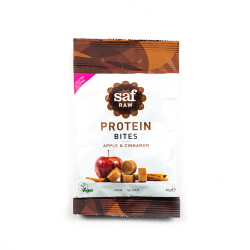 Saf Life combined the benefits of eating raw food and turned it into a vegan certified snacking option!